calculates the energy efficiency of a home. It allows you to compare the energy efficiency rating of a property you are interested in against a single control factor. What Do You Need to Know About the HERS System? The HERS Index is a composite score that takes into account the level of energy consumption from a number of sources. These include heating, cooling, water heating, lights, and certain types of appliances. Each change of one point in the HERS Index represents a climb or drop in the total energy efficiency of the home. Your HERS score should be low. A score of zero shows that the property has net-zero energy use. 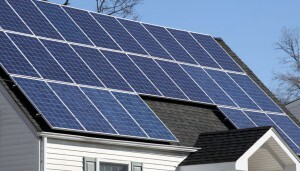 This means that the house produces exactly as much energy as it uses and nothing is wasted. To calculate the ultimate HERS score of a home a number of factors are fed into the equation, including energy consumption, water heating, lights, and some types of appliances. These factors are then computed and compared against the score of the HERS control home. If the total score equals that of the HERS control home, it receives a score of zero. If it receives a score in the negative numbers, this means that the home is, more energy efficient than the HERS home. How Can Knowing the HERS Score of a Home Help You? Knowing the HERS score of a property will definitely help you to purchase a more energy efficient home. If your goal is to spend as little money as possible on heating, cooling, and other utilities, a lower HERS score will point you in the right direction. For more information on the Home Energy Ratings System, contact USI online. USI believes that excellence in every step of the process and ensures timely completion and quality of service, time after time. ← What Makes A Building A High Performance Building?